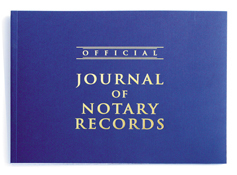 Protect yourself by maintaining detailed records of your official acts as a notary. This 141-page book has ample space for detailed records and thumb prints. This book can have over 500 entries.